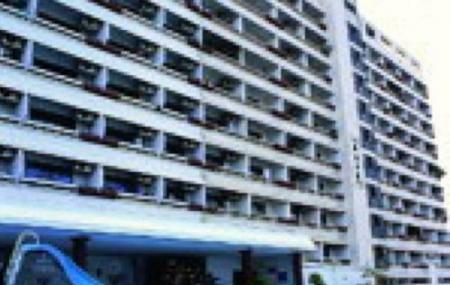 Find hotel near Ratchaprarop Tower Mansio .. If you are looking for a humble accommodation while exploring Bangkok, you must check out the Ratchaprarop Tower Mansion. The rooms here are spacious and clean, befitted with all basic amenities making for a comfortable stay. In addition, the rooms bequeath guests with panoramic views of the city. A peaceful location makes this accommodation a great choice for couples and groups of friends looking for tranquility. When the urge for some refreshment or getting out nudges, there are some night markets around that you can explore. Also, visit the popular attractions in the city by following Bangkok itinerary 7 days. How popular is Ratchaprarop Tower Mansion? People normally club together Ruamkatanyu Foundation and Ratchawat Market while planning their visit to Ratchaprarop Tower Mansion. Awesome View and Great staffs!! They are very friendly and Helpful !!! Very nice place. Good location. Staffs are polite and helpful. This hotel itself might be worth 4 stars for the money they charge but it looses 1 star because it is quite hard to go there. Hotel is quite old and they have different level of rooms. WiFi is good but you have to pay extra and it is not that cheap. Yes, this is just basic hotel but it is not that expensive either. They also have coin operated washing machines and very small shop for snacks downstairs. They also have restaurant that has room service, food quality is very tasty. We stayed in this hotel for first few trips but changed only because of location. Finally, move out from here since I have lived here for 5 years. The service is worse. The new staff is not take cake the tenant as before. Today I went to check out, the staff come to check my room, and fine me almost 4000Bath because I have paste some stickers on the wall and mirrors, the said cannot remove, they need change the new mirror. I can’t accept it, so I just buy Steklean (only 35 Bath) to clean by myself. Now, the wall and mirrors almost like new. So, be sure you have enough money to pay the fine if you choose live here.